One of the most celebrated alternative cartoonists of all time, Bob Fingerman, is returning to his roots this January with the return of his comic book series MINIMUM WAGE. The refreshingly honest comic, based loosely on Fingerman’s own life, follows the life of the main character Rob as he stumbles through life in New York City. Praised by critics and celebrities alike, MINIMUM WAGE set the standard for cringe comedy, with fans ranging from Robert Kirkman and Patton Oswalt to Marc Maron and Trey Parker. Earlier this year, Image Comics released the definitive hardcover collection of the series, MAXIMUM MINIMUM WAGE, which received critical acclaim, including placement on Entertainment Weekly’s Must List and rave reviews from Publisher’s Weekly and The New York Times. With such an overwhelming response to the collection of previously-released issues, Fingerman felt the time was right to return to his definitive series. "Working on the massive MAXIMUM MINIMUM WAGE, just going through all that material, stoked my desire to return to these characters,” said Fingerman. "I'd deliberately given that chunk an open ending, thinking someday I'd come back and do more. Now seemed the perfect time and Image Comics seemed the perfect place." Launching in January, 2014, MINIMUM WAGE #1 will pick up the story of Rob three years later, where much has changed in his life. When we last saw him, he was exchanging vows with his girlfriend Sylvia. Now he's single, owns a cell phone, lives with his mother again, and is giving some thought to diving back into dating. What could go wrong? 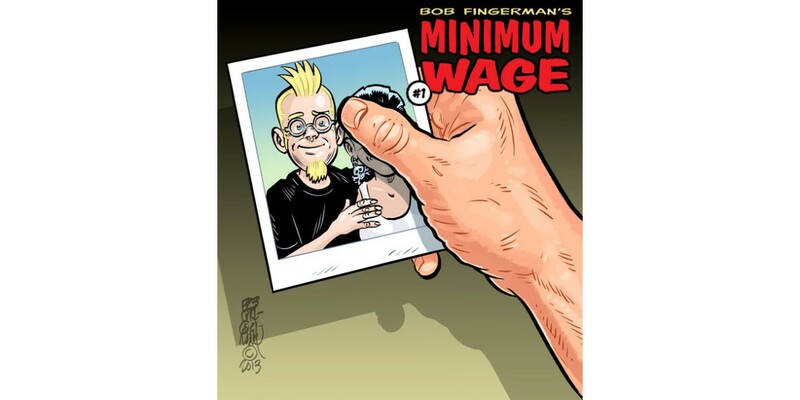 MINIMUM WAGE #1 releases on January 8, 2014 and is available for pre-order now using Diamond Code NOV130413.